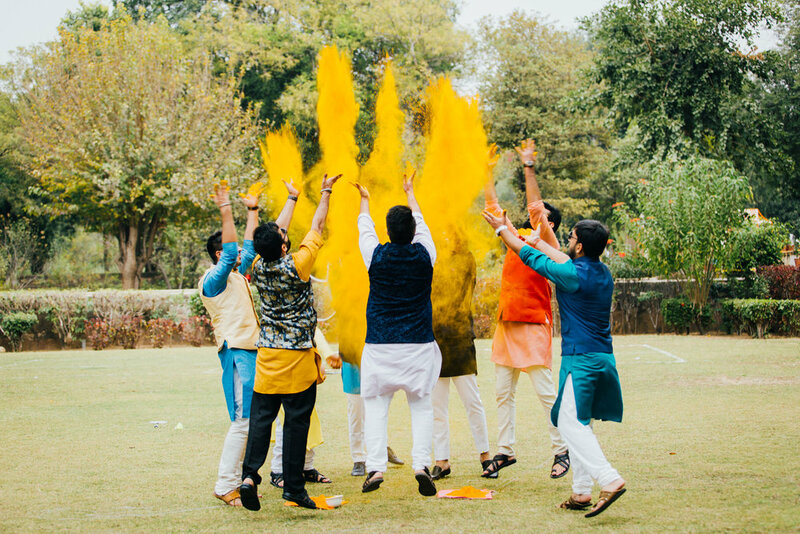 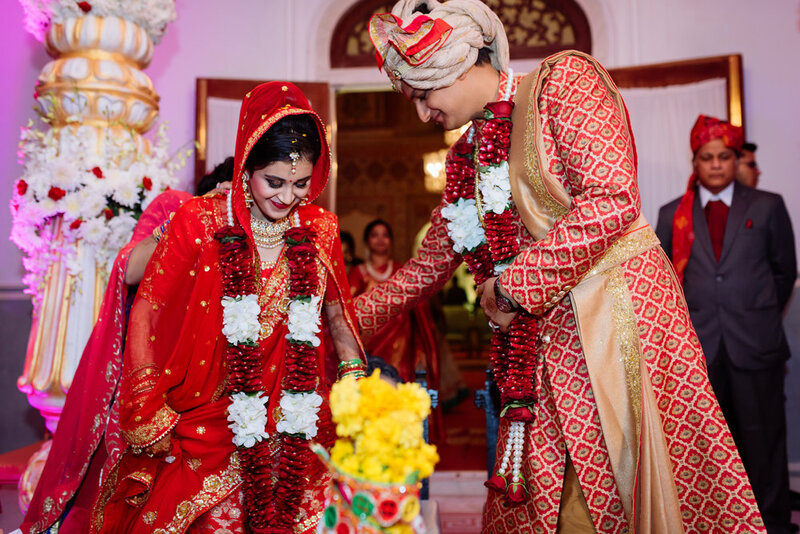 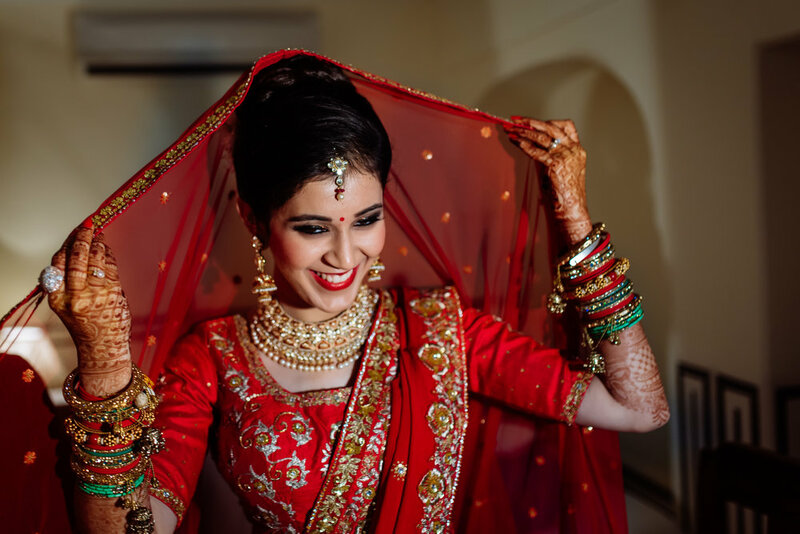 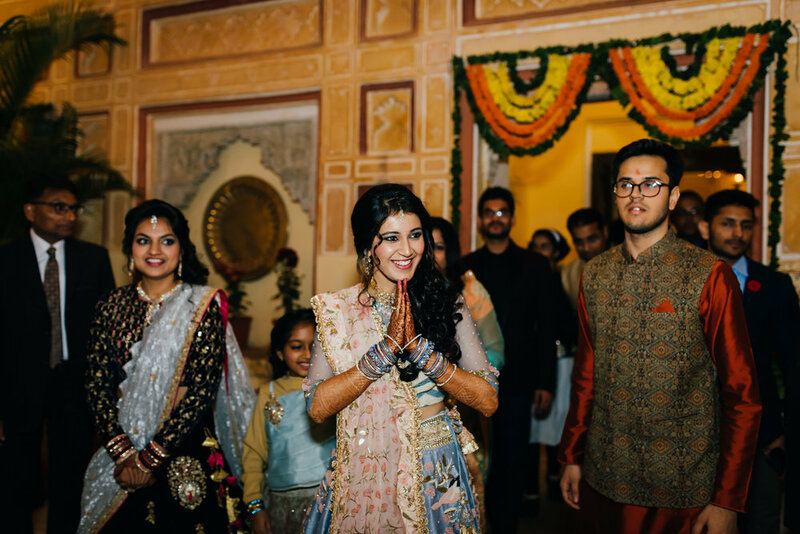 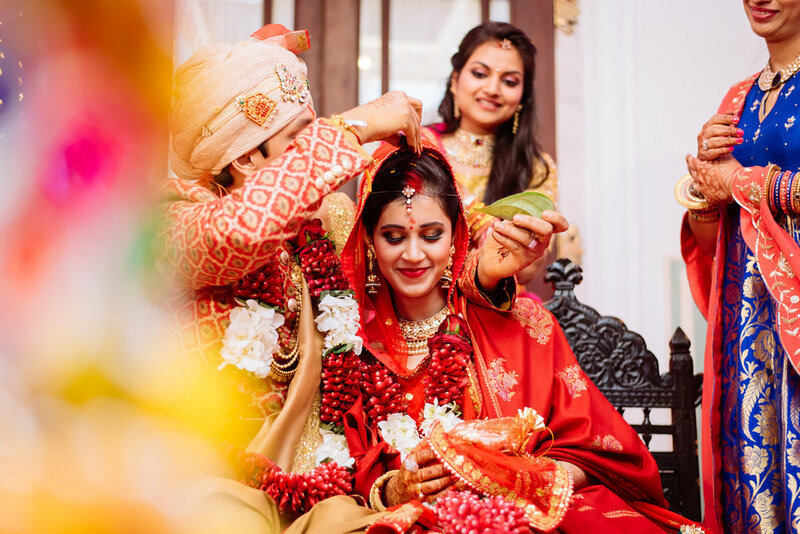 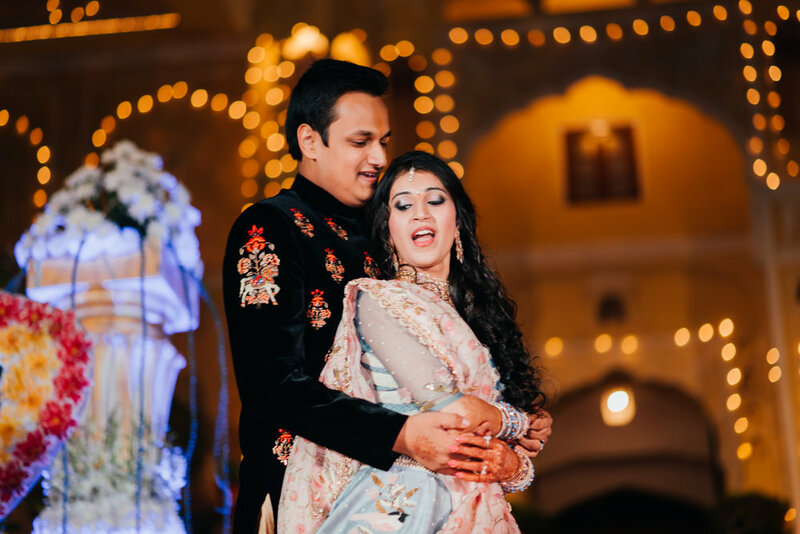 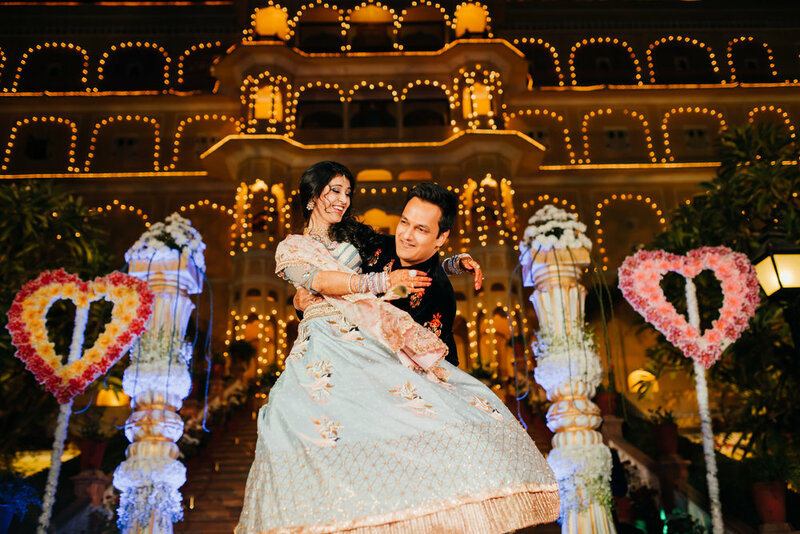 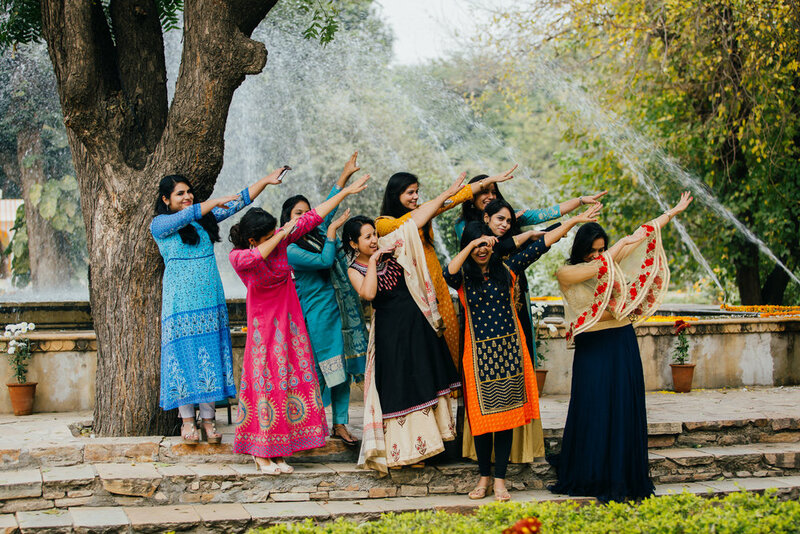 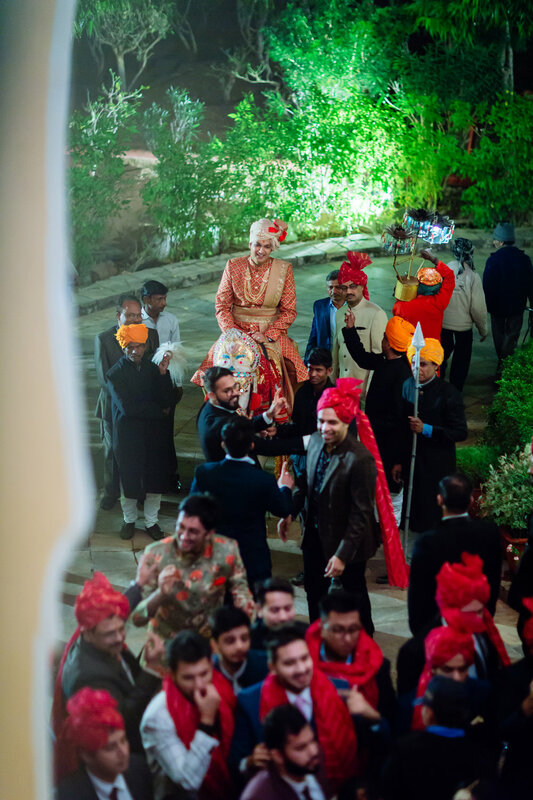 Pallavi and Madhav’s palace wedding was every bit a royal affair, both of them are full of energy and so were their friends and family. 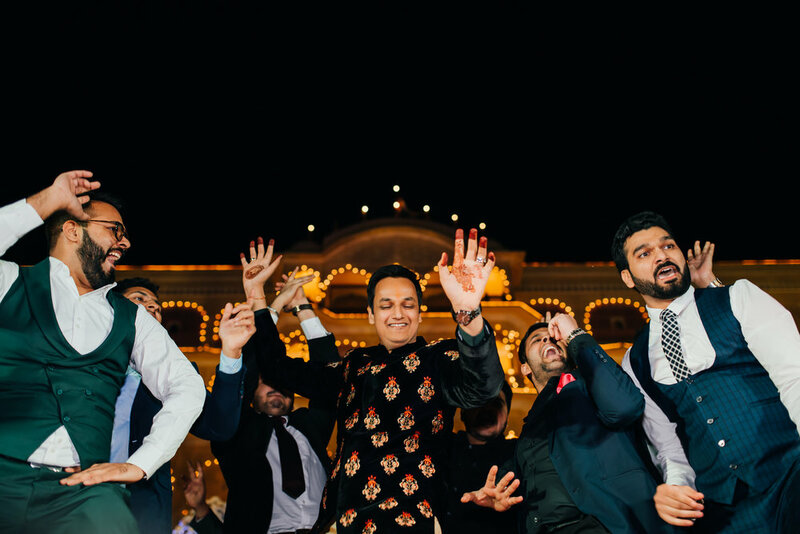 Their wedding involved a lot of dancing, fun, crazy friends and a ton of energy and emotions. 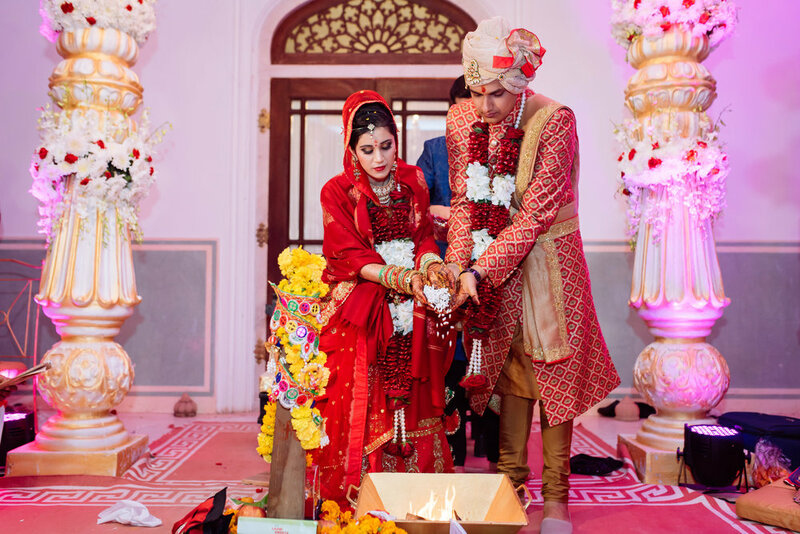 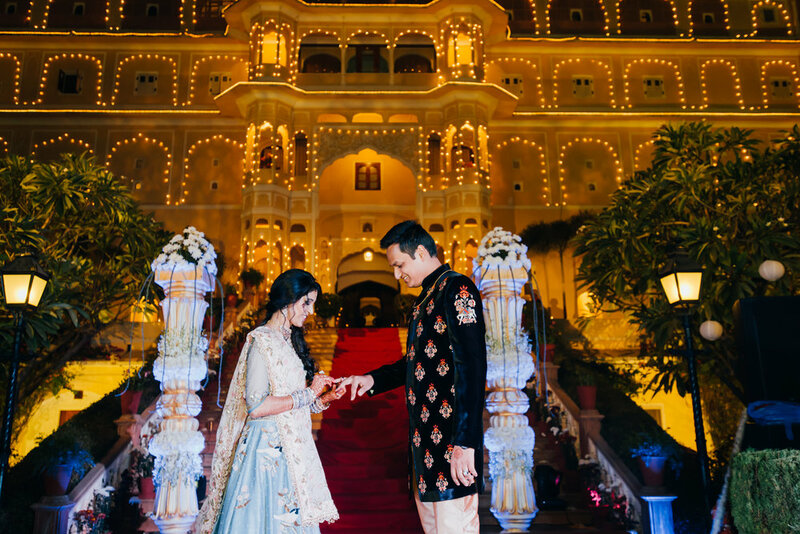 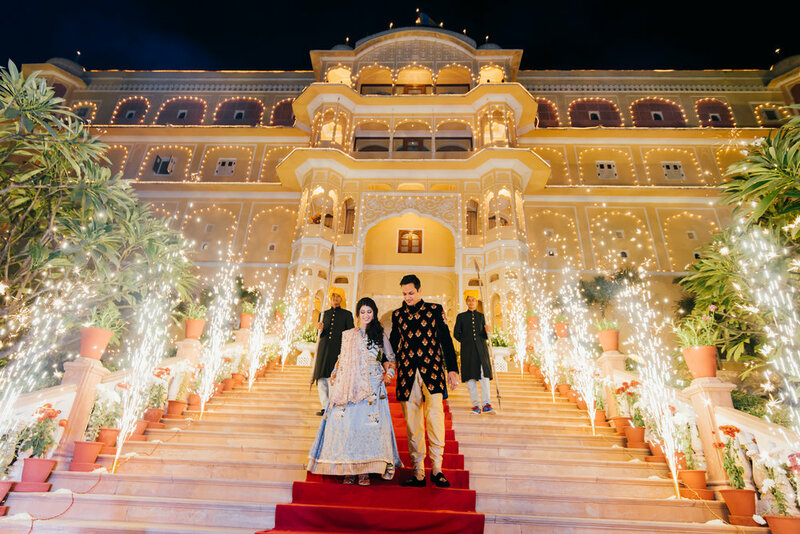 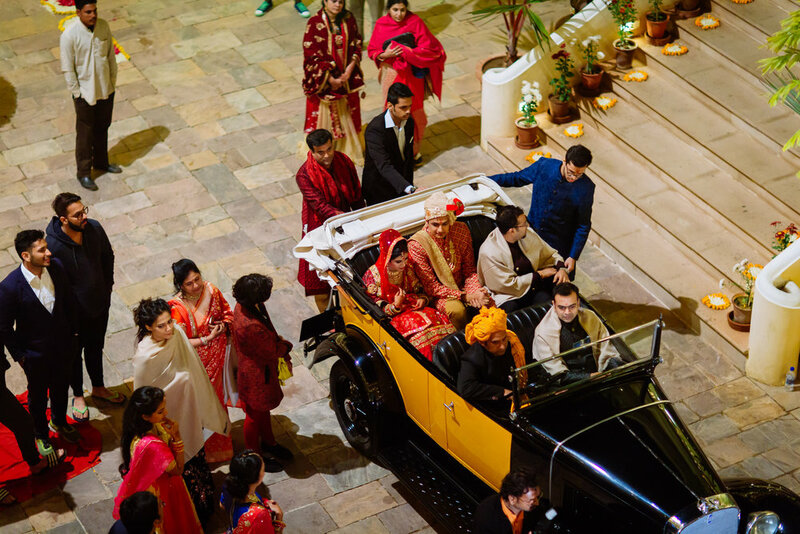 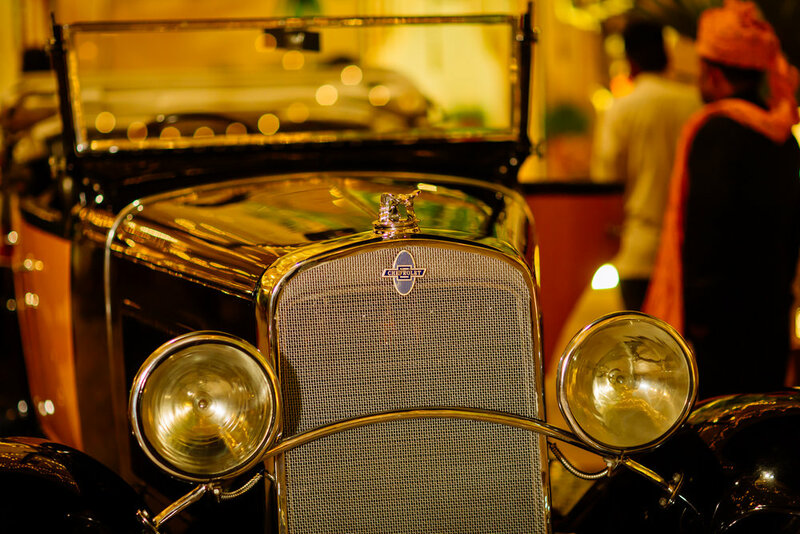 The wedding looked like it was a Bollywood wedding – with so much colour ultra cute decor and a palace meets vintage car destination. 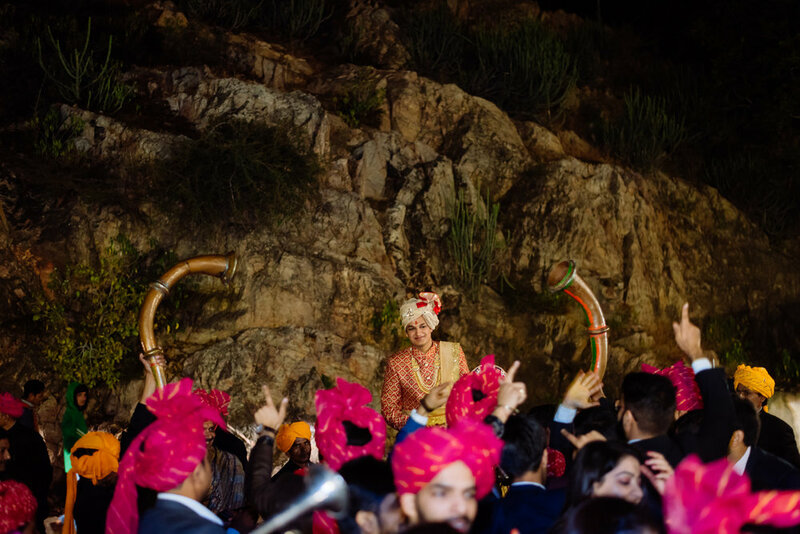 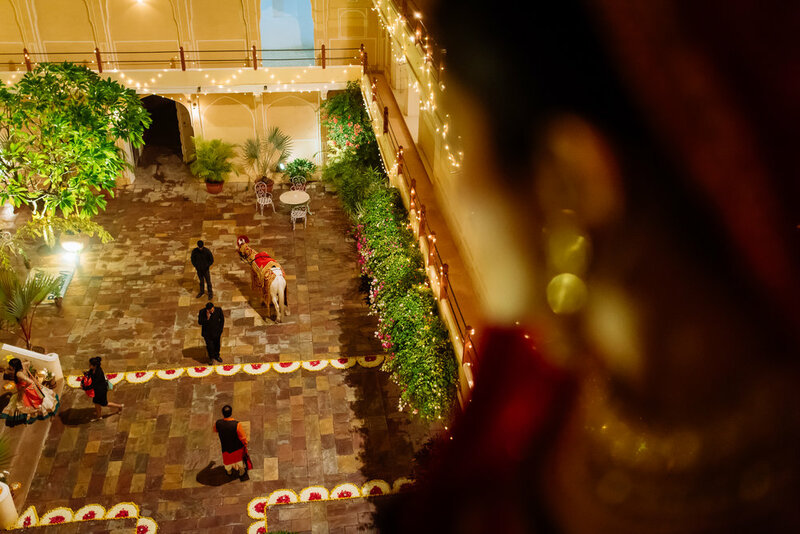 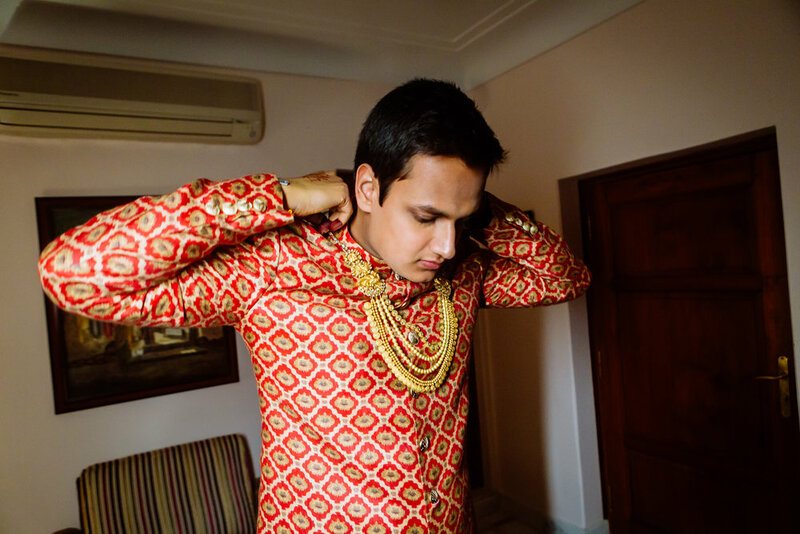 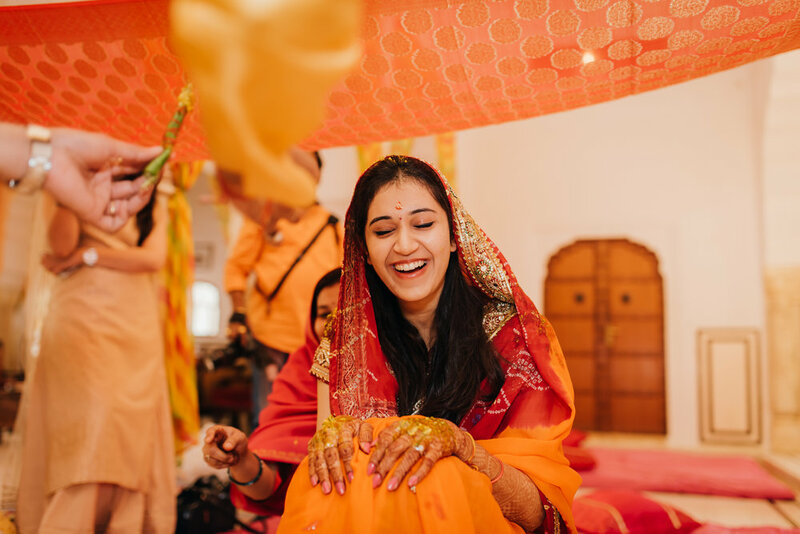 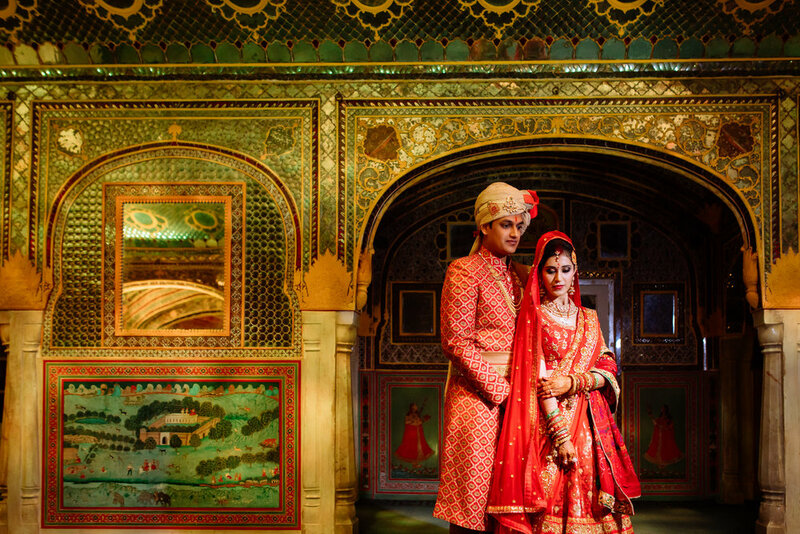 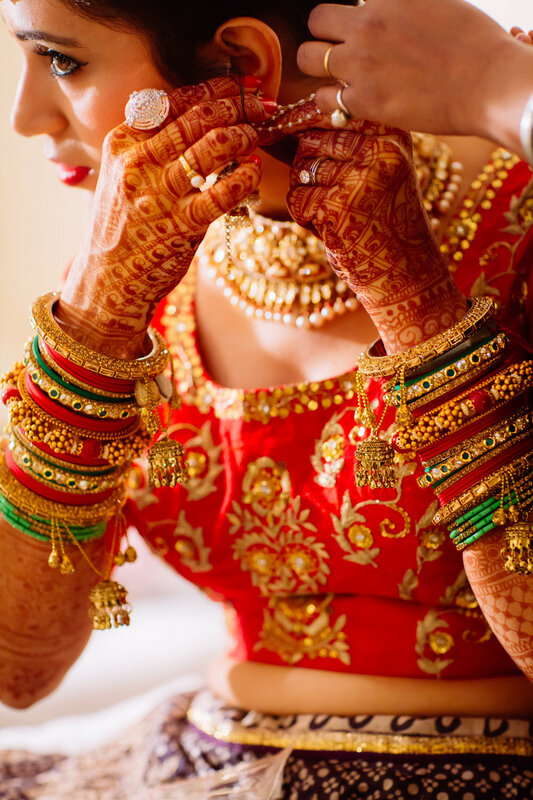 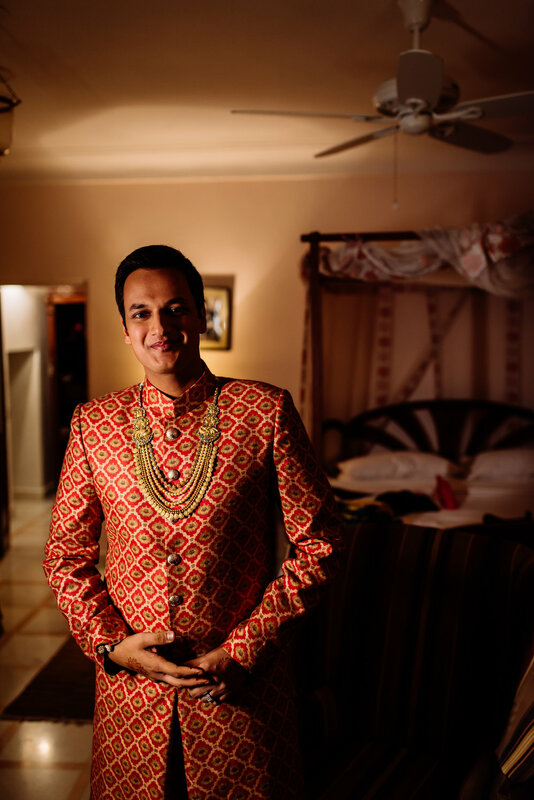 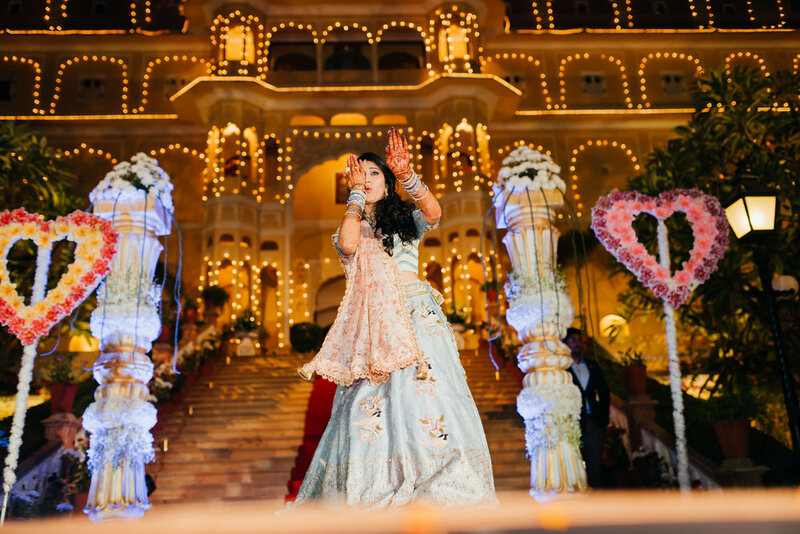 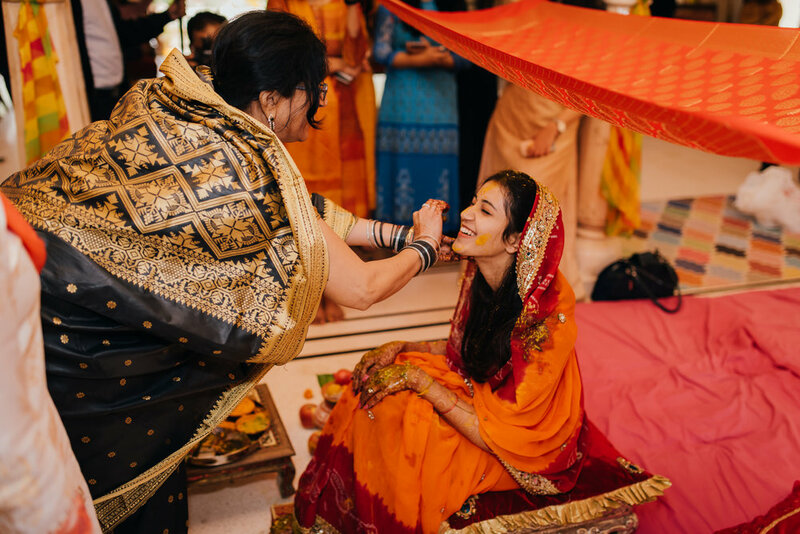 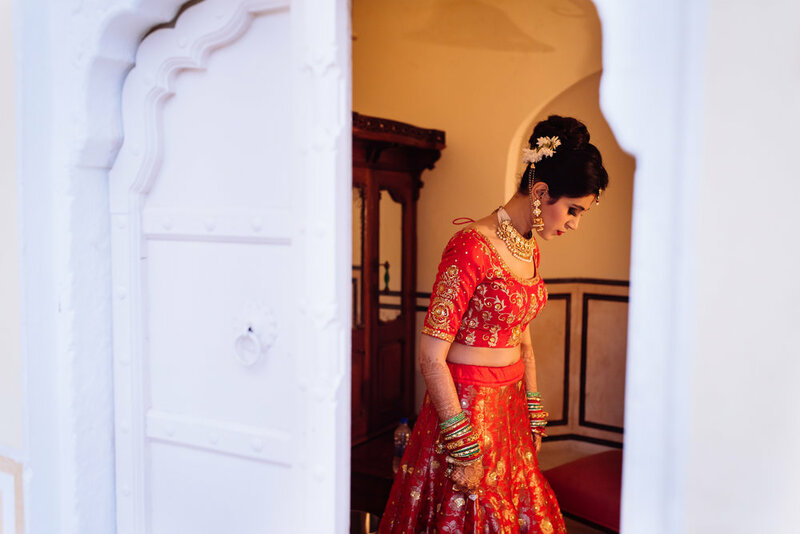 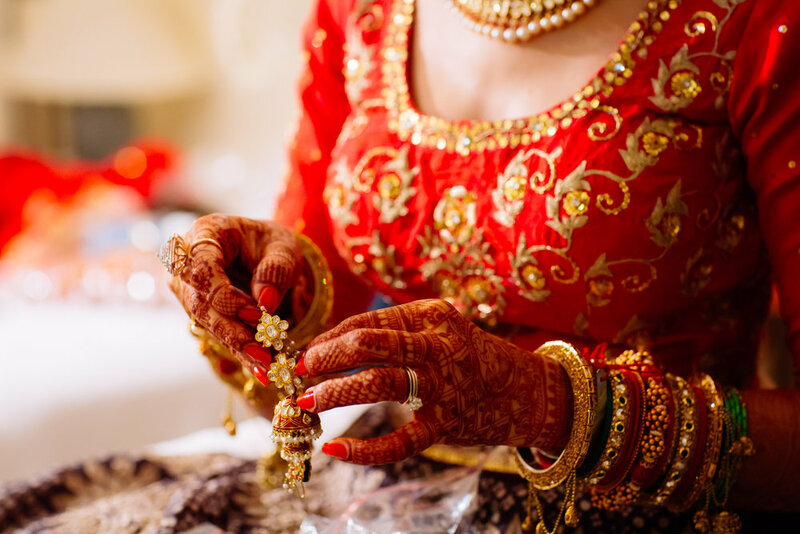 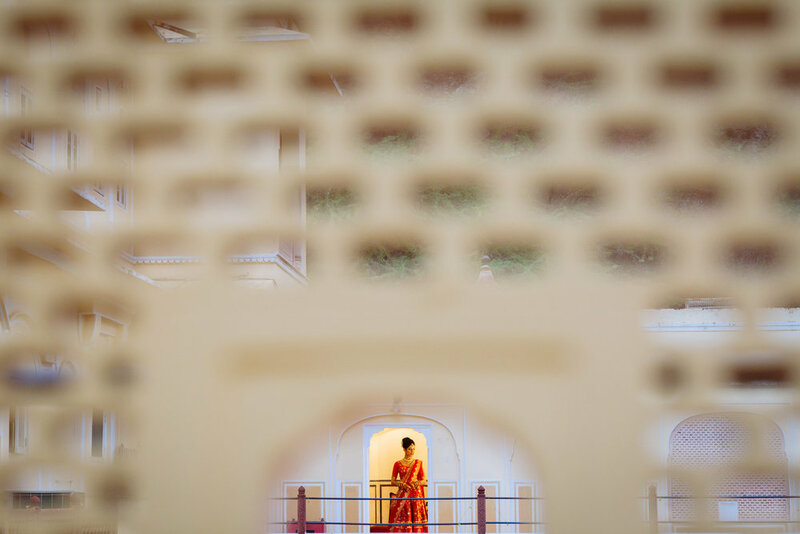 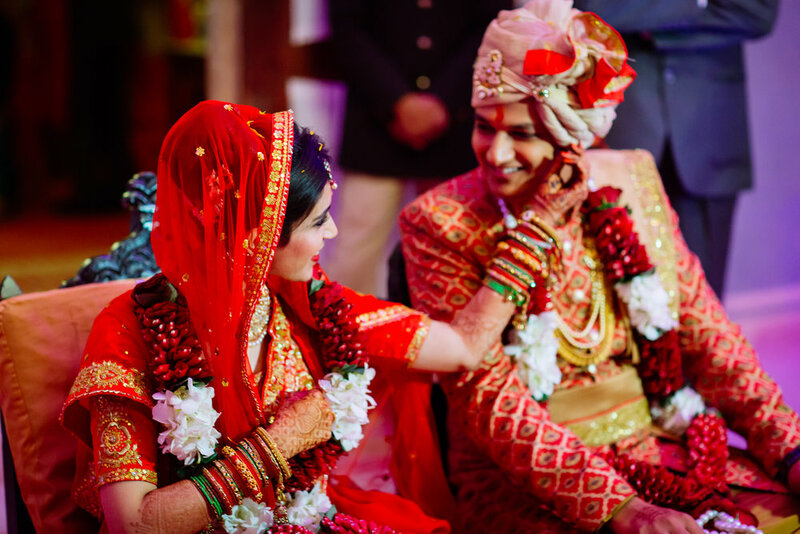 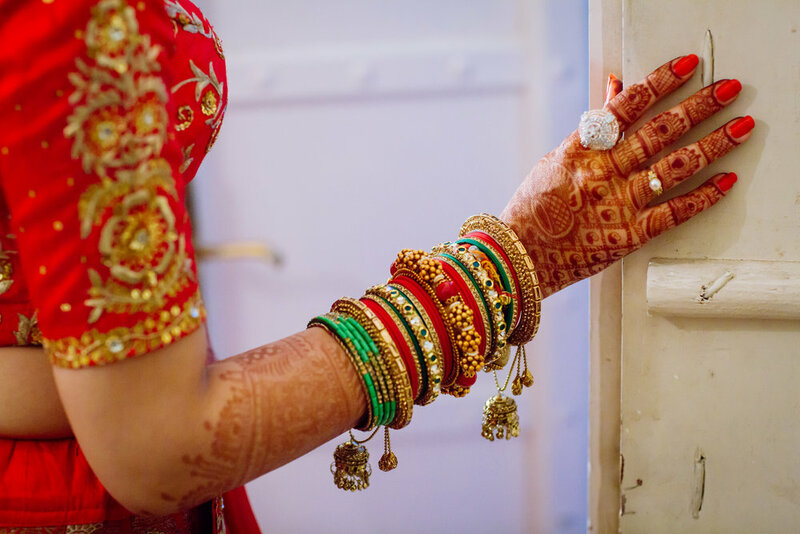 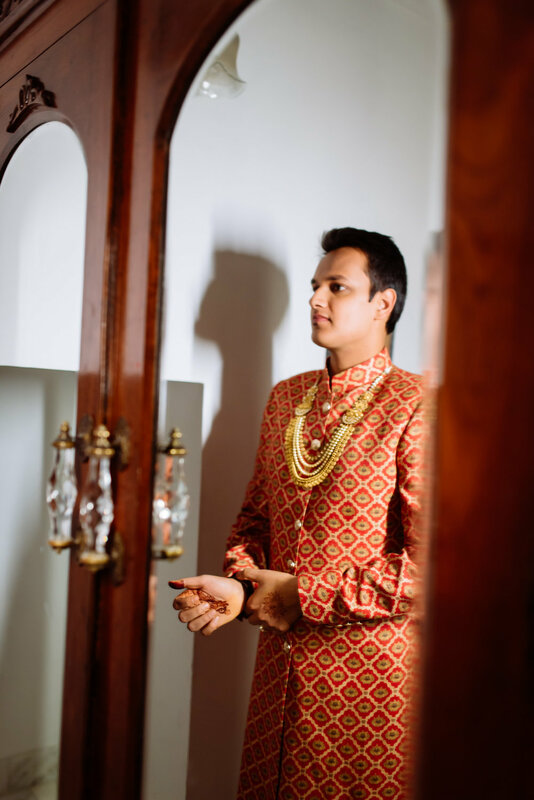 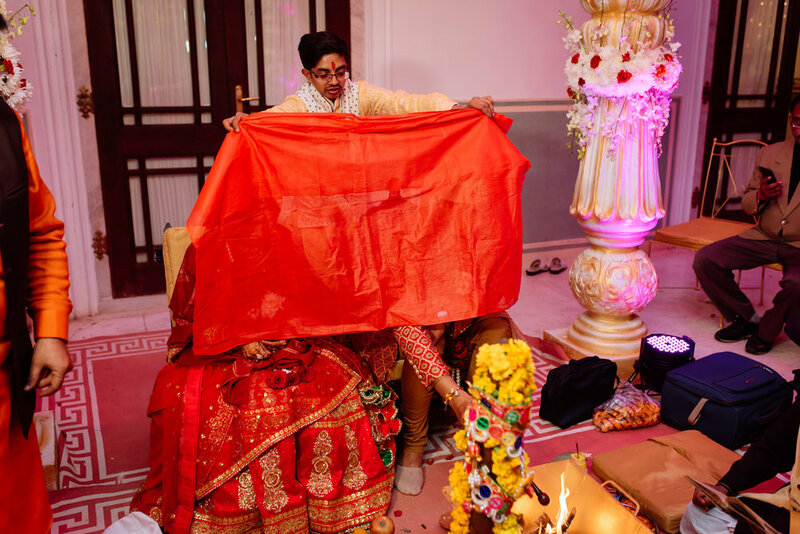 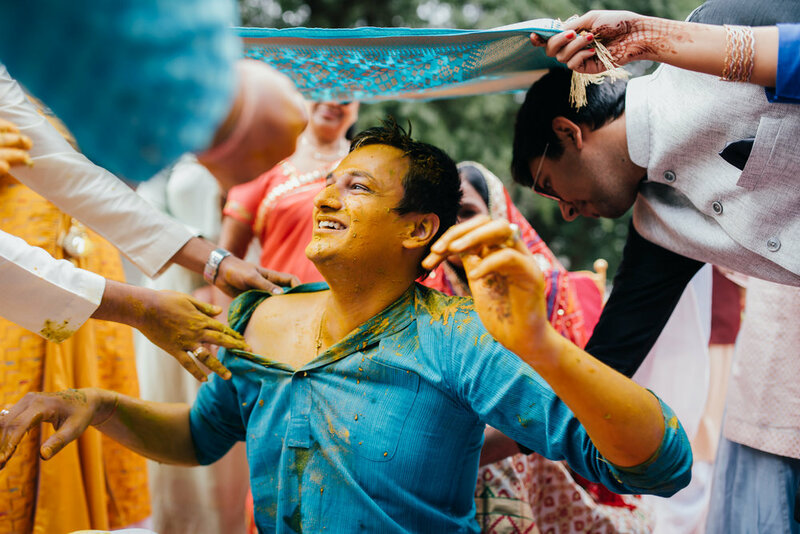 We were fortunate to photograph and document their palace wedding at Samode. 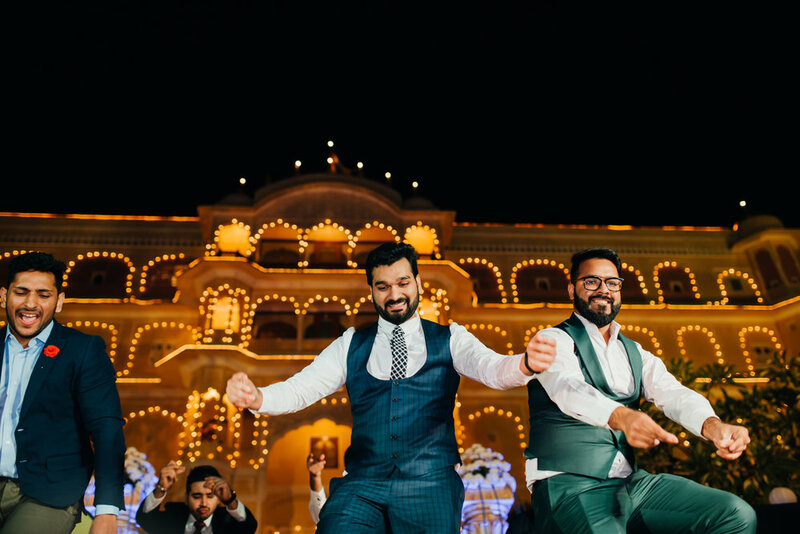 Sharing some of our favourite images and also check out the same day edit of their wedding film here.